NT Wright has a new book. 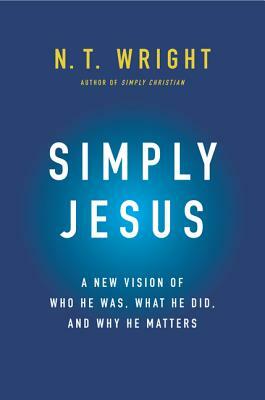 This one is titled Simply Jesus: A New vision of Who He Was, What He Did and Why He Matters (Harper One, 2011). Although I didn't attend SBL this year, I was able to have a friend pick me up a copy. The price wasn't any cheaper at SBL than Amazon, but at least I didn't have to pay for shipping. 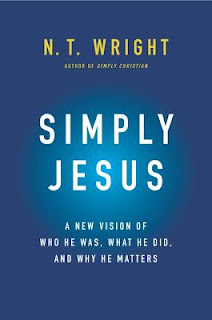 In this book Wright claims that we are wrong about Jesus. He is going after the idea that Jesus was either (only) a social reformer or that he died so that we could go to heaven. The biggest problem with our view of Jesus, Wright argues, is that we have seriously misunderstood the kingdom of God and focused most of our focus on getting to heaven. I started the book this weekend and hope to blog on it in the next few weeks. In the mean time, here is a pair of videos in which Wright is interviewed about the book. There is about a 30 second overlap of the first clip in the second clip, so hang on. Thanks for this. Do you know if this book is aimed at a popular audience? I would say yes. It is certainly not meant for scholars. My guess is that it is for Christian or those who think they are a Christian? Maybe or maybe not, have not read the book yet! What great clips! Thanks for this.